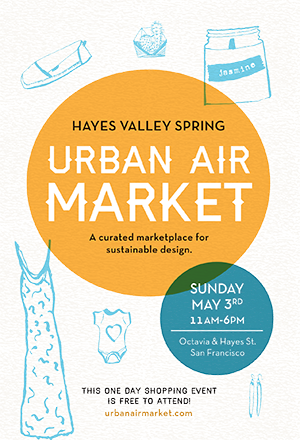 Foggy Notion will be sharing a booth with our friend Gwen Gundheim of Hendley Hard Goods at Urban Air Market in Hayes Valley on Sunday, May 3rd. This event is free and pen to the pubic – please come visit us and shop for other great stuff as well! We just added lots of one-of-a-kind ceramics and textiles to our online shop! Once they’re gone, they’re gone, so don’t delay. Visit us at Renegade Craft Fair! 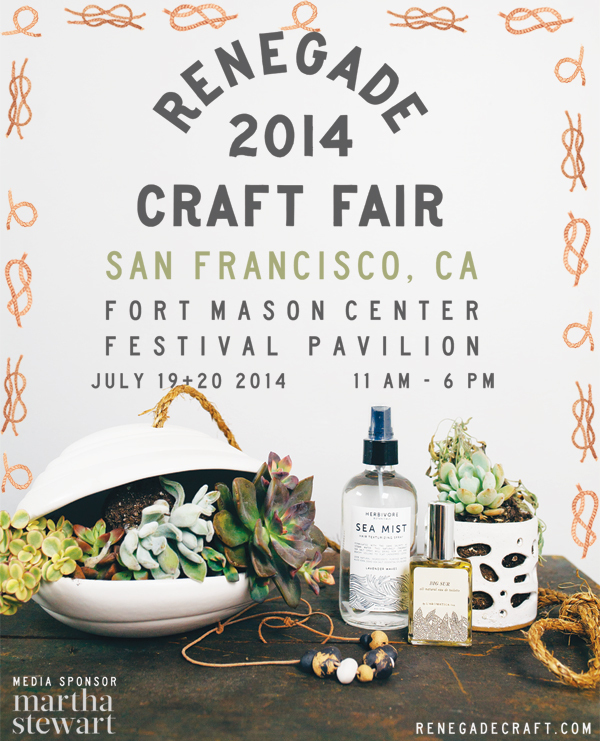 Come visit Foggy Notion at Renegade Craft Fair this weekend at Fort Mason! We’ll be in Booth 63A (on the right aisle towards the back). 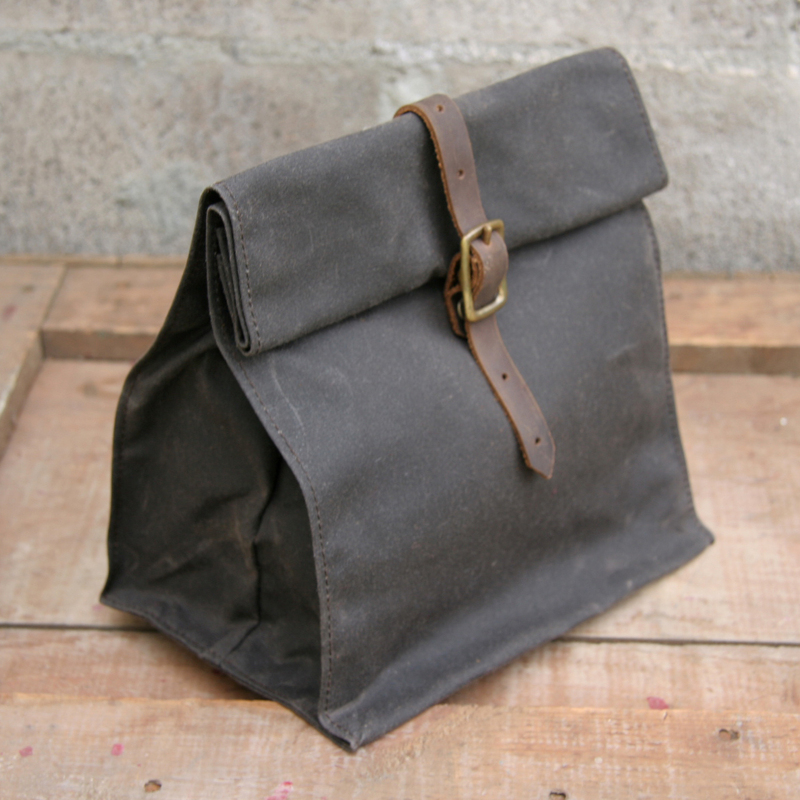 We’ll be bringing some of our own handmade items like the Army totes and tennis racquet cover wallets we make at the shop as well as other local handmade and small-batch products like honey, candles, and soap. 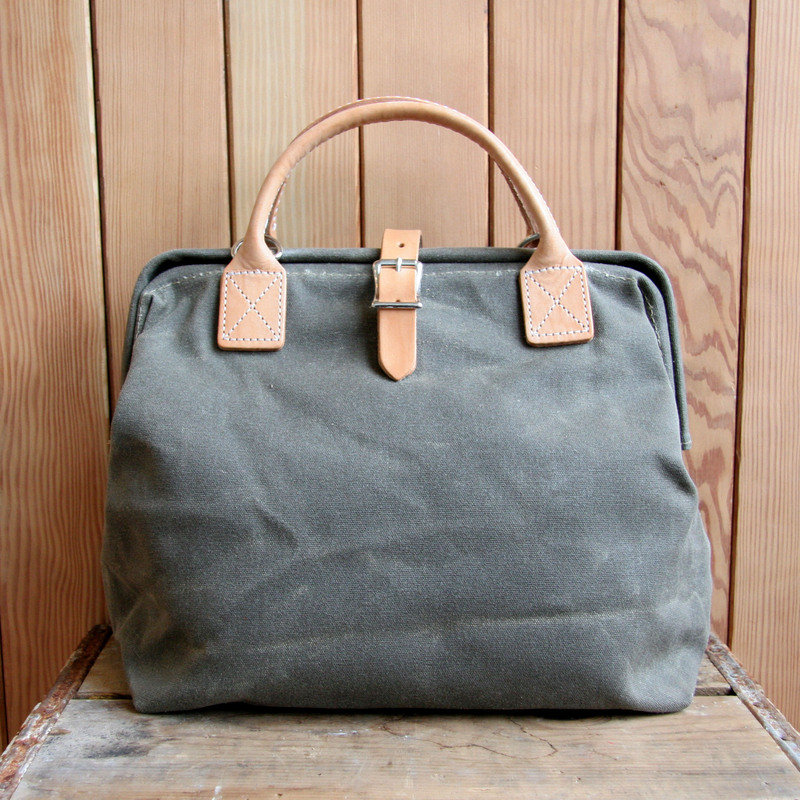 Lots of great bags are now on sale! You can buy these (and more) in our online shop. This Friday, Saturday & Sunday Only! We know…we’re one of those shops YOU love to shop in for yourself…so after Christmas come in and treat yourself to what you REALLY wanted and get 25% off to boot! Stock up on Fire Cider, Cloud of Protection, Juniper Ridge Campfire Incense, Cocibolca Candles or get that sweet bag you’ve been eyeing at a great deal. Seedstore 212 Clement Street: Seedstore will be debuting one of their stylist’s Gene Duven and her boyfriend Michael Mapp’s repurposed vintage clothing line, WRN FRSH. Featuring vintage clothing for men as well, two dj’s and libations. Ingenious Organic concept salon 389 Arguello Blvd: Buy 1 hair product get one 30% off, Makeup Buy 2 get 1 free, makeup touch ups, 20% off future hair cut appointments, 50% off hair cut with any color service, free deep conditioning with color service. Also Snacks and Drinks. The Mysterious Rack 12 Clement Street: The Mysterious Rack will be offering 25% off all accessories, jewelry, books, magazines, records, & more! Also featuring vintage by Heidi Spanier. Also libations, and live music by Rick Quisol aka the Dimestore Dandy. STORY SF 202 Clement Street: Story will be offering free gift wrapping, snacks, & hot apple cider. Foggy Notion 275 6th Ave: Foggy Notion will be showcasing vintage from Heritage Mercantile Vintage (Robyn Miller of HM was just featured in Refinery 29!) and Our House Vintage & Design, also refreshments and a free tote bag with any purchase over $20. 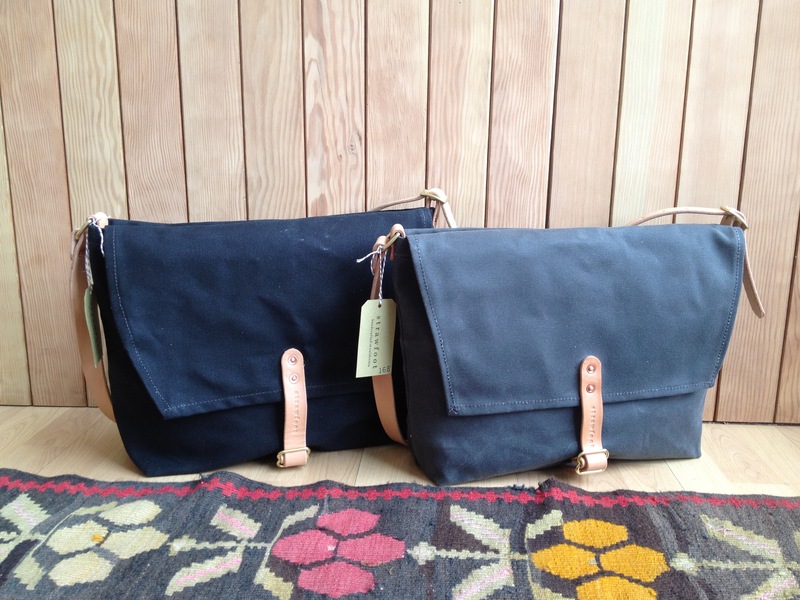 Kisha Studio 210 Clement Street: Kisha Studio is offering 10%, a small gift with purchase over $30, and champagne. Sparky’s on Clement St 115 Clement Street: Sparky’s will be offering champagne & chocolate covered strawberries. Covet 391 Arguello Blvd: Cupcakes, champagne, & a free jewelry gift with purchase of $30 or more. 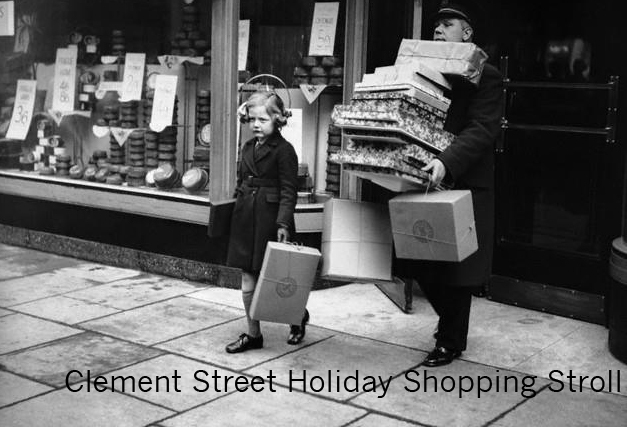 Period George 7 Clement Street: Sale on all Christmas and holiday candles, 15% off!